Pyrethroids, among the most widely-used home pesticides, are winding up in California rivers at levels toxic to some stream-dwellers, possibly endangering the food supply of fish and other aquatic animals, according to a new study by researchers at the University of California, Berkeley, and Southern Illinois University (SIU). Pyrethroid insecticides, commonly used in California to kill ants and other insect pests around the home, have been found in street runoff and in the outflow from sewage treatment plants in the Sacramento area. 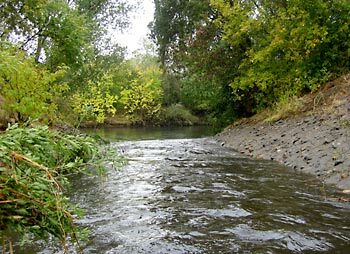 The insecticide ended up in two urban creeks, the San Joaquin River and a 20-mile stretch of the American River, traditionally considered to be one of the cleanest rivers in the region. Although the pyrethroid levels were low – around 10-20 parts per trillion – they were high enough to kill a test organism similar to a small shrimp that is used to assess water safety. “These indicator organisms are ‘lab rat’ species that are very sensitive, but if you find something that is toxic to them, it should be a red flag that there could be potential toxicity to resident organisms in the stream,” said study leader Donald P. Weston, UC Berkeley adjunct professor of integrative biology. Fish would not be affected by such low levels, Weston said, but aquatic larvae that the fish eat, such as the larvae of mayflies, stoneflies and caddisflies, could be, and should be studied. Weston first began looking at pyrethroid levels in streams bordering farm fields in 2004, and reported levels in some creek sediments high enough to kill the shrimp-like amphipod, an organism used by the U.S. Environmental Protection Agency as an indicator of the health of freshwater sediment. He subsequently found even higher pyrethroid levels in the sediments of urban streams, contributing to the California Department of Pesticide Regulation’s decision in August 2006 to re-evaluate some 600 pyrethroid products on the market, a process that is still underway. The new study is the first published work to document toxic levels in the water column as well as in the sediments at the bottom of streams. “This work opens a whole new can of worms and will probably substantially expand that re-evaluation,” Weston said. Weston’s study, conducted with Michael J. Lydy (LIE-dee) of SIU in Carbondale and funded by the Surface Water Ambient Monitoring Program of the California Environmental Protection Agency, appears online today (Tuesday, Feb. 2) in the journal Environmental Science & Technology. Pyrethroids have been around for decades, but seldom were used until organophosphates like chlorpyrifos and diazinon were banned for homeowner use in 2001 and 2004, respectively. Since then, pyrethroid insecticide use has skyrocketed, while studies in urban streams have found levels toxic to sensitive “indicator” species in California’s Central Valley as well as in Texas and Illinois. The crustacean Hyalella azteca, for example, is paralyzed and killed at levels of 2 parts per trillion. The main sources appear to be readily available insecticides applied around the home by the homeowner or by professional pest control firms to control pesky ants, Weston said. Of the varieties of pyrethroids marketed, however, one – bifenthrin – was found most often in the rivers and creeks in the Sacramento area, and pest control companies in California use four times as much as homeowners do, he said. He noted that in some areas, pest control companies heavily market monthly or bimonthly sprayings outside the home to control ants. The study found, surprisingly, that pyrethroids were present in effluent from sewage treatment plants at concentrations just high enough to be toxic to the test organisms, but well below levels found in urban runoff. Farm runoff, however, only occasionally contained pyrethroids at toxic levels, although some agricultural runoff did contain toxic levels of organophosphate insecticides. The new study was conducted in the Sacramento-San Joaquin Delta area last winter, one of the driest in the past 10 years. 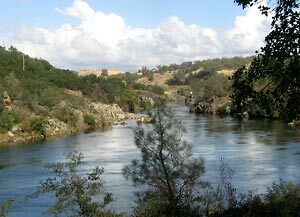 As a result, water flow in the American River, which is controlled by dam releases, was at very low levels, and provided little dilution of pyrethroids entering the river in storm runoff. Preliminary tests this season, with water flow twice what it was in 2009, show that “the pyrethroid toxicity we found last year is somewhat diminished, but nevertheless still continuing,” Weston said. The paper, “Urban and Agricultural Sources of Pyrethroid Insecticides to the Sacramento-San Joaquin Delta of California,” is online at Environmental Science & Technology.